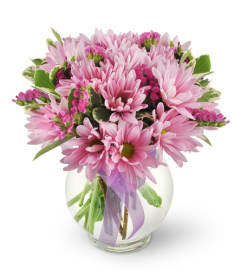 A generous combination of mauve and lavenders is sure to impress all who love the colour purple. 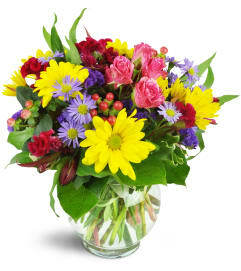 Bright and bold, this elegant bouquet is perfect for any occasion. 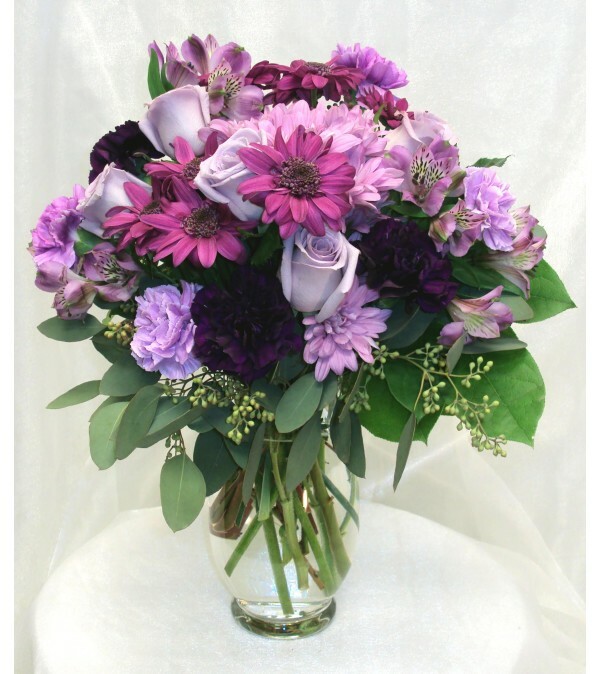 Mauve roses, purple alstroemeria, mauve chrysanthemums, purple daisies as well as dark and light purple carnations, are all arranged with seeded eucalyptus and salal. 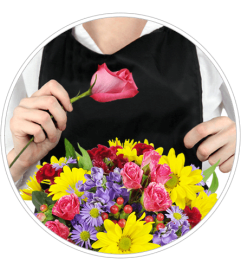 All delivered in a classic glass vase.